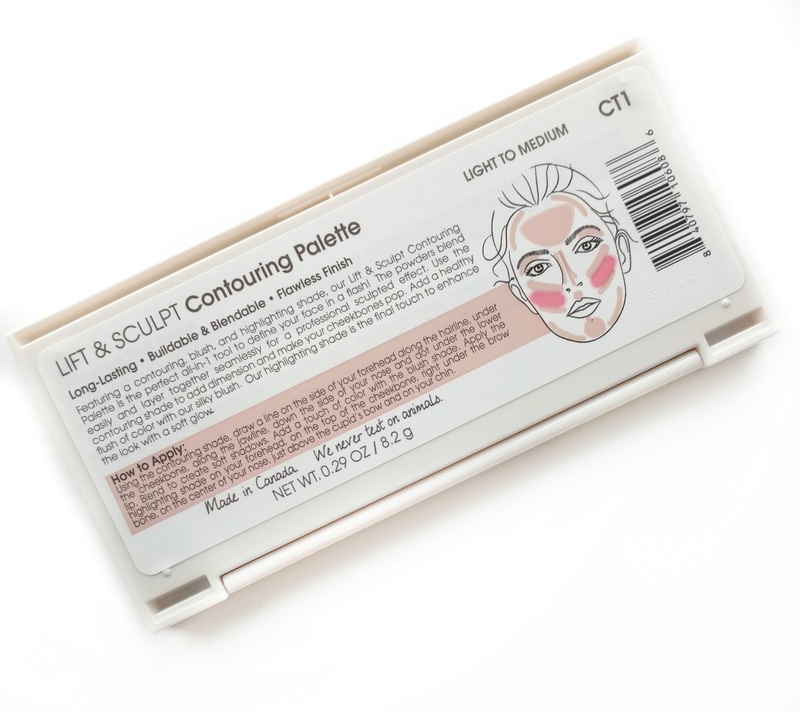 Flower Beauty Lift & Sculpt Contouring Palette - Featuring a contouring, blush, and highlighting shade, our Lift & Sculpt Contouring Palette is the perfect all-in-1 tool to define your face in a flash! The powders blend easily and layer together seamlessly for a professional, sculpted effect. Use the contouring shade to add dimension and make your cheekbones pop. Add a healthy flush of color with our silky blush. Our highlighting shade is the final touch to enhance the look with a soft glow. I just can't stop buying Flower Beauty products these days...everything I try from them lately is amazing quality, far above your typical drugstore makeup. 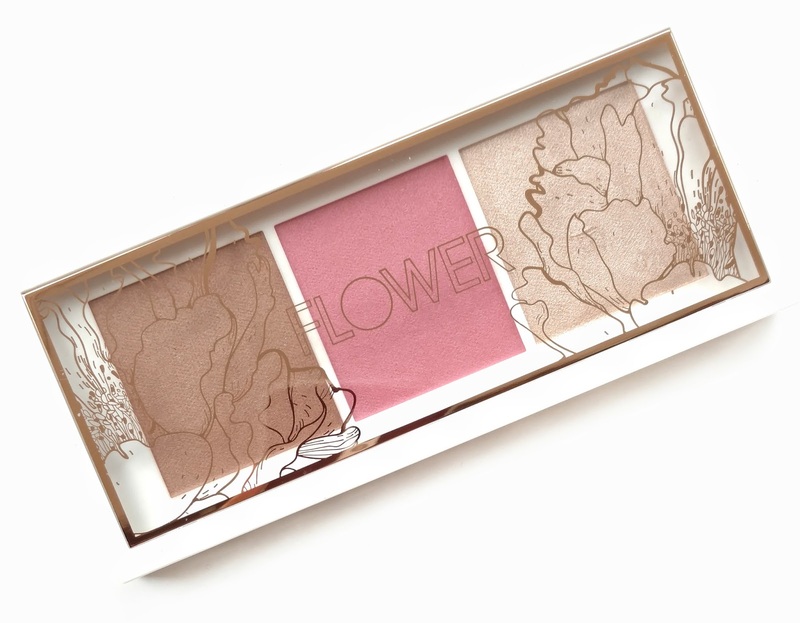 I recently reviewed the new Flower Pots blushes, and the Shimmer & Strobe Highlighting Palette (on my previous blog) and I was so impressed with them that I decided to purchase the new Lift & Sculpt Contouring Palette in the Light-to-Medium shade (there's also a medium-to-deep version). It comes with a matte bronzer, matte blush, and a beautiful highlight. 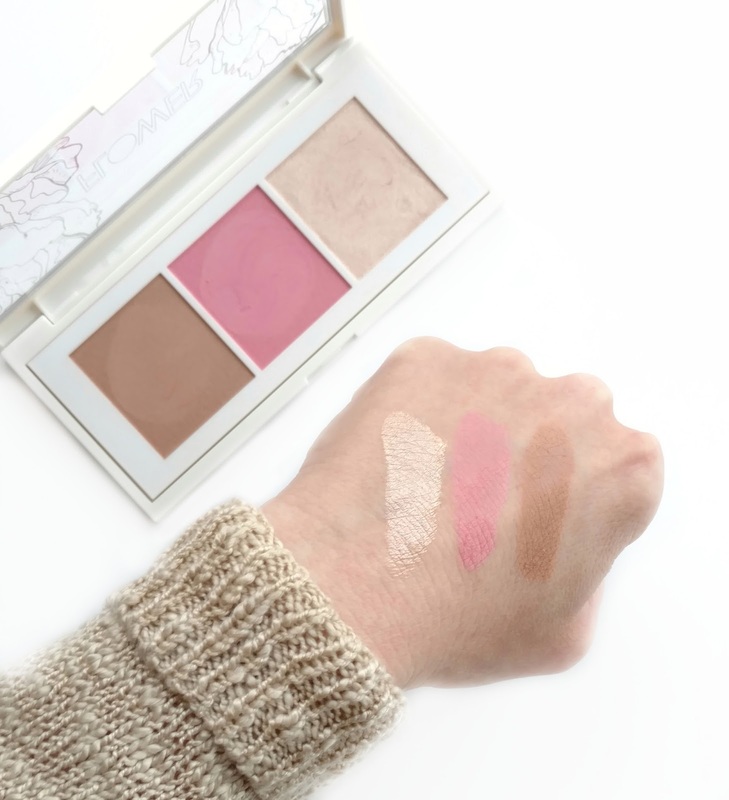 The shades in the Light-to-Medium palette are just perfect for my fair skin tone...the bronzer is the perfect soft brown (no orange -y tones in sight), the blush is a gorgeous cool-toned pink, and the champagne highlight is light enough to make my cheekbones pop. The formula is super soft, silky and smooth and it picks up easily, blending effortlessly into the skin. If I didn't know any better, I would think this was a high-end product that I paid two or three times the price for! To create these swatches, I very lightly swirled my finger once into each pan and swiped them once on bare skin (no primer). You can almost tell just from the photo how smooth (and almost creamy) the formula is! If you're looking for an all-in-one face palette at an amazing price I highly recommend checking out the new Flower Beauty Lift & Sculpt Contouring Palette. The quality is just so good. Unfortunately, this palette is not available online and is an in-store only exclusive. Please check with your local Walmart to see if they carry Flower Beauty (because not all of them do). For more information, please check out the Flower Beauty website. 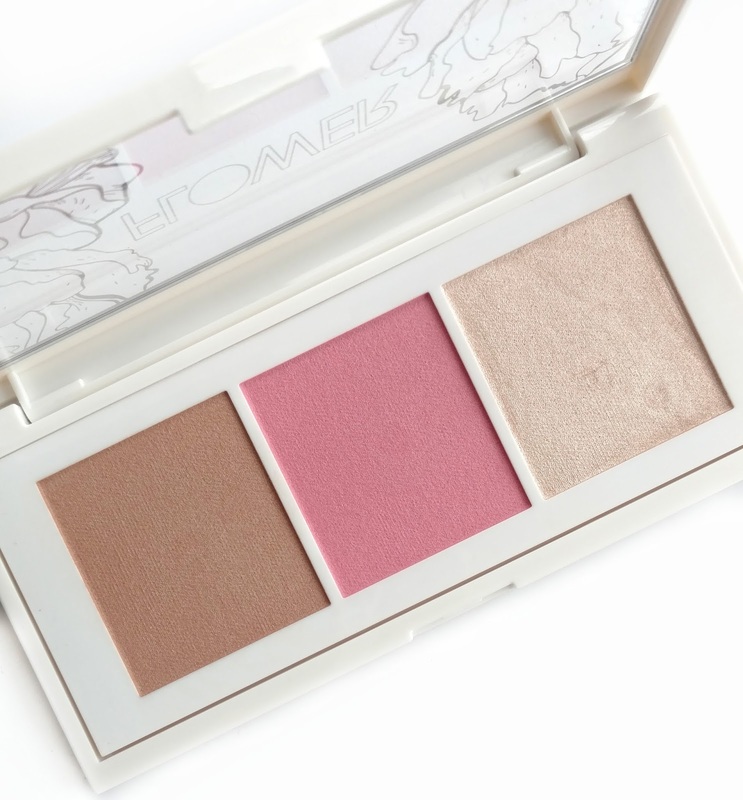 I loved this palette along with all the other new Flower products. They're so amazing! I love your new blog name, too! Thank you so much! I'm glad you like it! :) And yes, all of the new Flower products are wowing me!